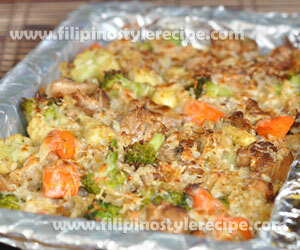 Filipino Style Recipe: Baked Cheesy Chicken Rice Mixed is another easy and simple yet delicious complete meal. It is mainly made up of leftover rice, chicken and veggies mixed together and cooked in margarine. Topped with Cheese then bake until cheese is melted. 1. In a bowl, combine chicken, soy sauce, sugar, peppercorns then marinate for 30 minutes. Set aside. 1. In a pan, heat oil then fry marinated chicken over low heat for 3 minutes or until light brown. Remove from the pan and set aside. 1. In a pan, melt margarine then saute garlic until light brown. 2. Add cooked rice then toss until well coated. 3. Add chicken, veggies and Parmesan cheese then toss. Cook for 3-5 minutes. 4. Seasoned with salt and pepper according to taste. 1. In a baking pan, lined with aluminum foil.Transfer the rice mixtures then spread evenly. 2. Top with grated Mozarella cheese then bake in a preheated oven at 300 degrees Fahrenheit for 15 minutes or until cheese is melted. 3. Transfer to serving plate then serve immediately. Welcome to Filipino Style Recipe! 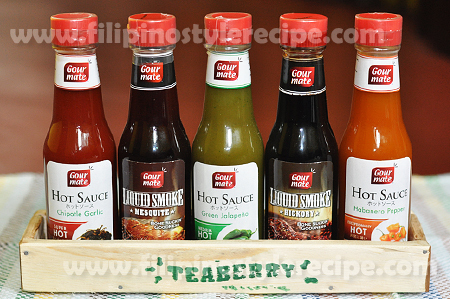 Here’s my collection of local and foreign recipes that have been modified to suit Filipino taste. 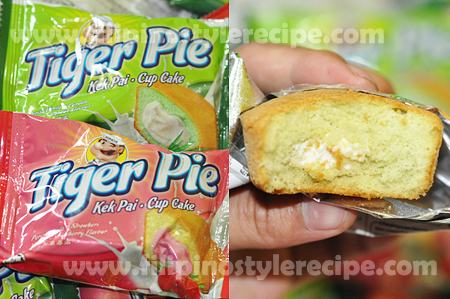 If you want to share your own recipes, feel free to send it to filipinostylerecipe@gmail.com. 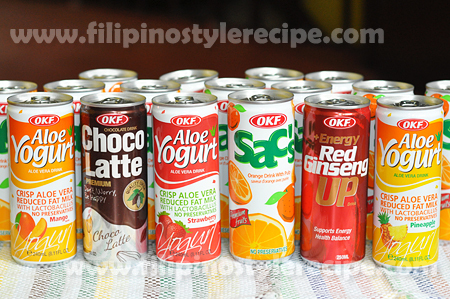 Make sure that your recipe is original and has a Filipino culture. Please support FSR, like us of Facebook. Share and enjoy cooking! © 2019 Filipino Style Recipe. All rights reserved.